How do I join the book club and set my child on the road to reading? It’s easy. Just pick up your 1,000 Books Before Kindergarten supplies. Supplies consist of a brochure, first Log sheet, and suggested reading lists. We will keep the Reader Chart at the branch where you have registered. As you read to your child, write down the title of each book. If you read the book more than once, write down the title as many times as you read it. Each log sheet records 20 books. As you fill in each group of 5 log sheets, bring them in to the library branch where you have registered and you or your child can put a progress sticker in the appropriate circle of your Reader Chart to indicate how many books have been read. When 1,000 books have been read – and this may take a year or two – and your child’s Reader Chart has been completed, we will take a photo of your child and place it in the middle of the Reader Chart. You will also receive a special goody-filled book bag to tell the world your child is a super reader. Nope, you can read books from anywhere – your home, other libraries, preschool or grandma’s house. You can read any type of book. If you need help though, check our 1,000 Books Before Kindergarten book list for suggestions. This list may be downloaded from our website at sjpl.lib.mo.us or picked up from any of our libraries. We also encourage you to come into our libraries and chat with children’s librarians, as they can point you in the right direction. Can I count my child’s favorite book more than once? Yes, write down the title (or an abbreviation if it’s lengthy) each and every time you read it. Can I count the Books that are read at the Library Storytime? Of course, ask one the librarians for the list of books read at that Storytime to add to your log. My child “reads” books to himself. Should I count those? While it’s a great start, if they are only mimicking or pretending to read, you shouldn’t count these books. (But pat yourself on the back for influencing an enthusiastic early reader). The program has no official end date. You have as long as you need to read. So don’t rush, take your time and enjoy the books. What should I look for when choosing books? • Books with simple, large pictures or designs with bright colors. Images should be of familiar objects, or other babies. • Small, stiff Cardboard, Board Books made for small hands. • Washable cloth books to cuddle and mouth & Plastic/Vinyl books for bath time. • Sturdy books they can handle and carry. • Books with photos of children doing familiar things like sleeping, eating or playing. • Books with only a few words on each page, with simple rhymes and predictable text. • Books that tell simple stories. • Books with rhymes, rhythms, and repetitions they can learn by heart. 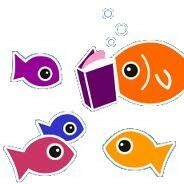 • Food, Animals, Vehicles and Bedtime books are favorite subjects. • Books about saying Hello and Goodbye. • Books that tell stories. • Books about kids who look and live like them, as well as books about kids living in different places. • Books about counting, ABCs, shapes or sizes. • Books about making friends and going to school. What’s the best way to read to my child? • Find a quiet comfortable spot and sit together. Turn off the TV and cell phone. • Read the book first yourself so you know what’s going to happen and can pace the story. • Talk about one or two of the pictures. • Vary your voice for male and female characters (You don’t have to be Meryl Streep). • Slow down and speed up your voice depending on the differing tempos of the story. This lets the story come alive. 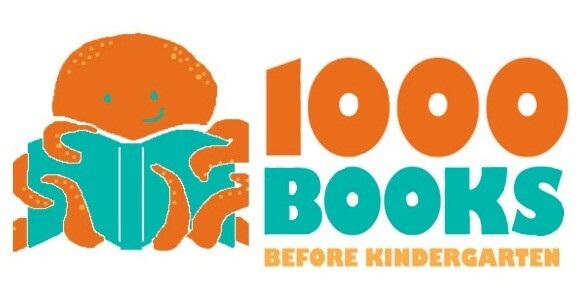 Why 1,000 Books Before Kindergarten? This program is based upon evidence that the more children (ages 0 – 5) hear books read to them, the more prepared they will be to learn and enjoy reading upon reaching Kindergarten. Research shows that children with larger vocabularies are better readers. Knowing many words helps children recognize written words and understand what they mean. Vocabulary is learned from books more than from normal conversations with adults or other children or from the TV. Children will gain Narrative & Storytelling skills that will help them better understand what they are reading. Being able to rhyme and sing will give your child a Phonological Awareness that will help them as they begin to sound out words when learning to read. By helping your child gain a Letter Awareness, knowing the names and sounds of letters, children learn how to sound out words themselves. Reading together creates stronger bonds and a shared knowledge of the books. And most importantly, children who enjoy shared reading time, and see others around them enjoying reading, will WANT to learn how to read.